On the large loading bay at the Lappen tree nursery in the Kaldenkirchen area of Nettetal, located in the middle of the Lower Rhine region, our trained and experienced staff supervises the proper loading of the valuable freight in a manner that ensures the plants are treated gently. To prevent the trees becoming damaged they are loaded into the trucks from above. This avoids additional loading and unloading and reduces the risk of damaging the tree. The rootballs are also protected during the process. The Lappen tree nursery uses modern Volvo excavators and a large number of tractors for loading and unloading. The truck roof can be slid to the front or rear as necessary, thereby ensuring secure and space-saving loading. 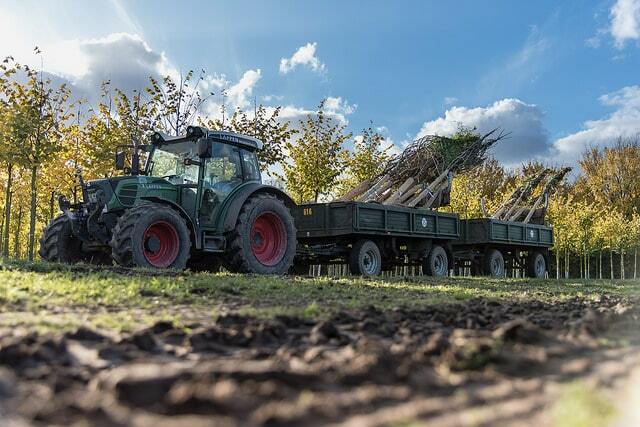 Customers also benefit from this technology, because unloading the trees takes place in reverse order. On the one hand this allows many trees to be accommodated on a single truck, while preventing the branches from interlocking with each other. Transportation takes place with the assistance of long-standing partner carriers who quickly and reliably ship consignments to customers throughout Europe and ensure on-time delivery. Lappen is therefore capable of delivering orders to customers on a “just-in-time” basis. In addition, the tree nursery offers special transportation for trees that exceed normal shipping dimensions, where oversized consignments exceed 13 metres in length and four metres in width but smaller freight volumes are also grouped together here and efficiently transported to their destinations. 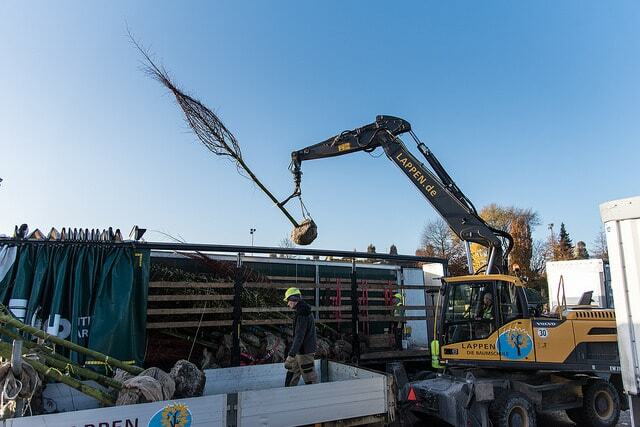 An additional service also allows customers to collect their selected trees from the yard. This particularly benefits regional customers who subsequently travel directly to the construction site.